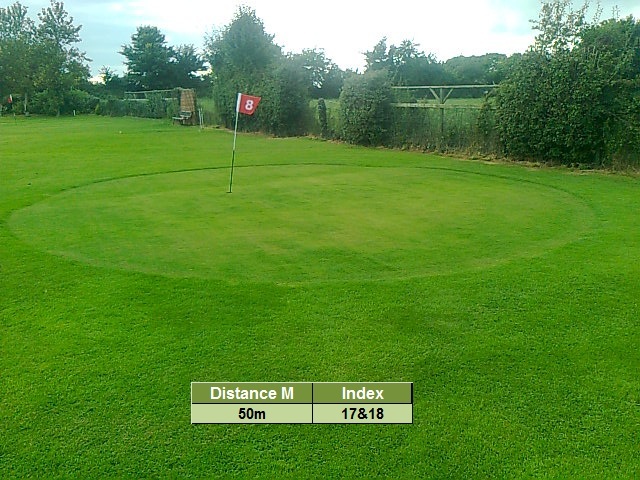 The second longest tee shot on the course at 50m. Index the easiest hole to play. No bunkers or hills to contend with but the out of bounds fence is a little intimidating but will not interfere with a good tee shot.